A brand with strong roots in the past is important. But every now and then it makes sense for brands to reinvent themselves with a new look, focus or products. We introduce brands that have succeeded - and explain what start-ups can learn. Several years ago, traditional German car manufacturer Opel was struggling with revenue losses and a stale brand image. 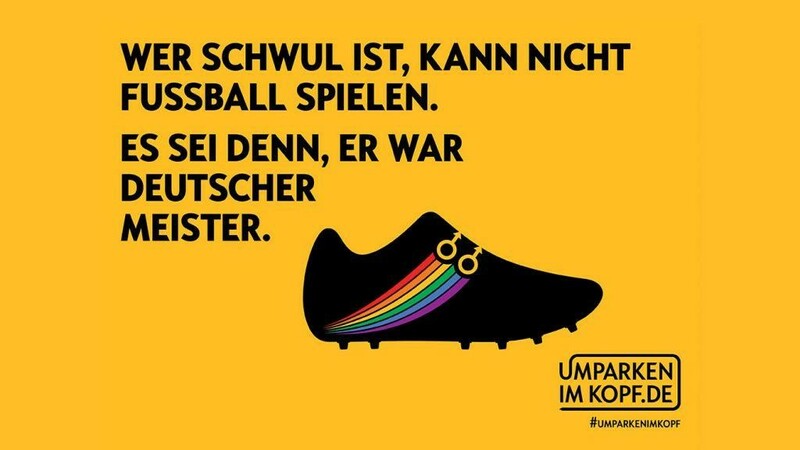 With their 2014 "Umparken im Kopf" (reparking of the mind) campaign, the car maker succeeded in revamping its boring image: with a nationwide poster campaign, Opel exposed common stereotypes as false and boldly targeted taboo subjects such as homosexuality in football - initially without revealing they were behind the campaign. As a second step under the motto #Umparken im Kopf, TV ads featuring celebrities like Jürgen Klopp and Karoline Herfurth disproved the prejudice that Opel was yesterday’s brand. Opel was back on track. Learning for start-ups: brands can reach people with surprisingly honest messages. Opel's campaign succeeded in linking the basic human need for authenticity with a changed brand image, not only forcing the target group to challenge their own prejudices, but also reaching them on an emotional level too. Delays, train cancellations, train and station damage: until a few years ago, the Berlin public transport service was among the most hated public institutions in the German capital. Instead of trying to defend itself further, the BVG turned the tables in 2015 - and turned its bad reputation into a trademark. Under the hashtag #Weilwirdichlieben (because we love you), the BVG asked customers to share their most beautiful moments on Berlin city transport through their newly created social channels - and earned themselves a huge shitstorm in which passengers denounced the seemingly endless annoyances with the BVG. The trick: this loss of control was intentional, the complaint tweets and hate posts with a good dose of self-irony were answered by comedians of the "heute show" and the "Neo Magazins Royale". The tone: brusque, direct, gobby Berlin - the chaos became cool. According to their own market research, about 40 percent of Berlin had a more positive picture of the public transport company one year after the start of the campaign. A music video at the end of 2015 almost certainly contributed: In the song "I do not care", YouTube star Karim Arboga sang a hymn about the daily passenger madness featuring kebab eating neighbors, running ticket checks and trains stopping dead in their tracks. The BVG landed a viral hit. Learning for start-ups: Admit weaknesses instead of trying to cover them up, and in doing so turn them into strengths. Putting yourself in the crossfire is risky, but those who are honest in their mistakes and do not take themselves too seriously score points because people like them and like the BVG achieve, in the best case scenario, cult status. Even today skincare brands advertise with images of perfect figures and flawless faces. The company Unilever, which owns the skincare brand Dove, saw here a real market gap - and as a result in 2006 fundamentally changed its visual strategy. While commercials and posters had previously confronted viewers with seemingly unattainable ideals, from 2006 onwards only "real" women with "normal" figures could be found in Dove advertising. Alleged blemishes such as cellulite or scars appeared as well as wrinkles and love handles. Sub-campaigns such as "Beauty knows no age" brought further topics such as attractiveness in old age into focus. In addition, Dove has supported initiatives that promote self-esteem in young girls and the prevention of eating disorders. The universal brand message: Everyone is beautiful. With this appeal for more self-confidence and a positive self-perception, Dove not only hit the nerve of a misunderstood customer generation and expanded its target audience, but also created new social relevance for their own brand. Learning for start-ups: Brands are more than the products they produce - they stand for a world view. The closer the brand message resonates with their customer's world view, the better. Because brands who, like Dove, tackle and improve a sore spot in society create a sense of significance and acceptance. The traditional German brand Jägermeister successfully rejuvenated its target group: at the end of the 1990s, the herbal liqueur was clearly positioned as a nightcap for older people. The hunting image: old-fashioned, dusty, out of date. Dwindling sales forced the company to change its strategy. Instead of continuing to focus solely on the 50+ generation, the company immediately targeted customers in their early twenties and expanded from the sofa into bars and clubs. Without altering the brand essence, Jägermeister was now sold as a party drink - by communicating the already existing attributes such as the roaring stag or the hunting tradition loudly and linking with party events such as rock festivals and bar events. The Jägerettes – scantily clad waitresses who helped out offering free Jägermeisters at parties - helped to increase its popularity and fame. Jägermeister succeeded in transforming the German old man brand into an international party symbol. Learning for start-ups: do not fear change! Sometimes, when a communication strategy stops working, making a complete change of direction is the best solution. 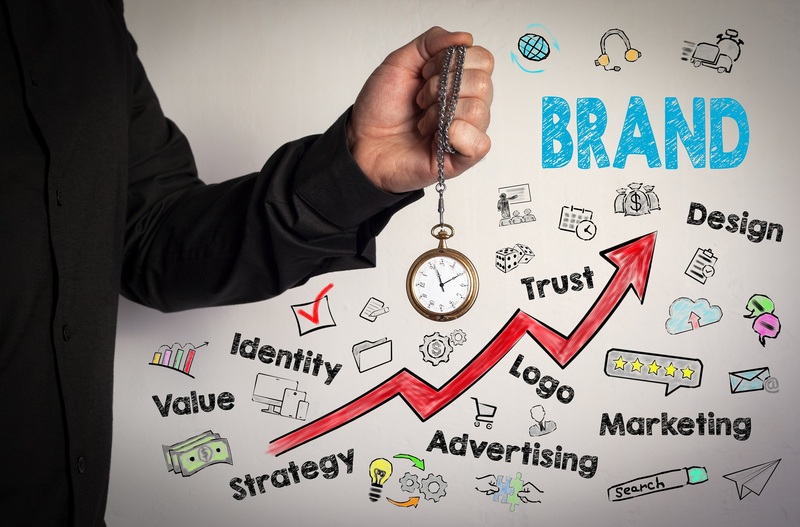 However, it is important that the core of the brand is maintained - otherwise credibility is lost. The food manufacturer Edeka was not exactly hip for most of its existence. But in 2014, the company made a brilliant coup. With the YouTube clip "Supergeil" Edeka scored a viral hit - after just a few days, the music video had more than four million clicks. To date, the counter shows well over 19 million views. The simple but oh so clever secret of their success? The largely unknown artist Friedrich Liechtenstein dancing through the Edeka shelves singing, accompanied by a slow electronic beat, to the salmon for €5.99 as super cool. With relatively little cost, but all the more self-irony and a lot of courage to change their image, the supermarket chain had rejuvenated the public brand perception in one fell swoop. In 2015, Edeka followed suit with the viral hit "Heimkommen" (coming home): Here, a lonely grandfather fakes his own death to bring his family together for Christmas - unlike "Supergeil", this clip evokes strong emotions with the watcher and associates those emotions with the brand. "Heimkommen" has 59 million views on Youtube to date. Learning for start-ups: Good video marketing can spread faster than any virus on the net if successful. For a clip to be viral, a finely balanced mix of provocation, humor and/or emotion is required. Only those films which stand out from the crowd will be clicked on.